The long running transfer of Danielle Rugani to Chelsea is set to end as the Blues have reportedly agreed on a transfer fee with Juventus. This news is reported by reputable sources which claimed that Chelsea are on the brink of signing the 23-year-old defender. 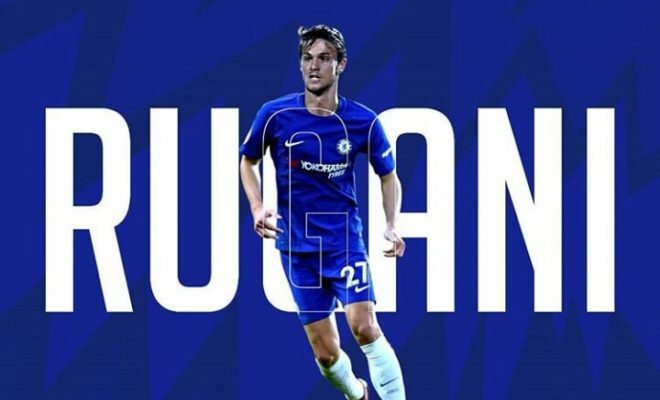 Rugani has been linked to Chelsea all through the summer amid reports of Sarri’s desire to reunite with the player he managed at Empoli. It had earlier been reported that Juventus were looking to sanction the sale of some players to recoup the huge financial outlay on Cristiano Ronaldo. Chelsea are expected to pay a fee of £36 million for his services. Rugani is regarded as one of the brightest prospects in Juventus having emerged through the youth system at Empoli. The 23-year-old is known for his anticipation, aerial prowess and the ability to play from the back. Chelsea pre-season games have shown that the Sarri-ball revolution is on and Sarri wants a ball playing defender similar to Koulibaly at Napoli. Rugani is rumoured to have agreed to a four-year deal worth £78,000 weekly which is more than double his current wages. His arrival could signal the departure of David Luiz who is considered surplus to requirements at Stamford Bridge this summer.